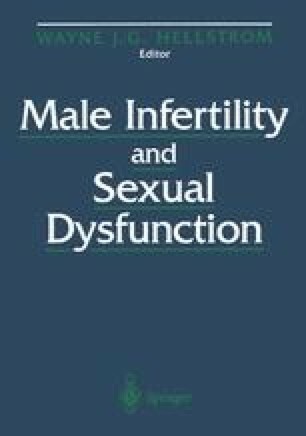 With a plethora of diagnostic and treatment options, there is probably no area of urology that has more diversity in diagnosis and treatment than erectile dysfunction. There is no unanimity or consensus as to what should be done or what is the usual and customary approach. There is wide variation in how the impotent man is approached in different areas of the country, as well as from urologist to urologist within the same community. A workup may vary from obtaining a thorough history and physical examination to thousands of dollars’ worth of laboratory work, assessment of sleep erections, and imaging studies that leave the patient with a probable diagnosis and no solution to his problem. Treatments vary from the far too common reassurance that the man is “over the hill” and his days of sexual intimacy are over, to the immediate recommendation of a surgical procedure that may still leave the patient without a useful erection. For many men, it is a total surprise that there is help, and that there is far more than reassurance available as a solution to this common, but often devastating, medical problem.